When feeding brood mares, we must keep in mind that not only do we need to meet the nutritional needs of the mare, we must also meet the nutritional needs of the foal. Therefore, the needs of the brood mare change depending on the stage of reproduction. One factor to keep in mind when feeding brood mares is that body condition may be the single largest influence on the mare’s reproductive performance. Research has shown that mares maintained in moderate to fleshy condition cycle earlier in the year, require fewer cycles to conception, have higher pregnancy rates and are more likely to maintain pregnancies that are thin mares. The recommendation is for brood mares to be maintained at a Body Condition Score of 5.5 to 7. (BCS’s range from 1 to 9, see Body Condition Scoring Your Horse for more information). The open mare (not pregnant) can be fed much like a maintenance horse. The energy (calorie) requirements of mature, idle horses are low and may be met by feeding high-quality forages. However, since high-quality forages may not always be available, concentrate feeds such as Purina® Strategy® GX, Strategy® Healthy Edge or Omolene #100® horse feeds may be fed in combination with forage sources to maintain the horse. Further, hay and/or pasture will likely not meet all the protein, mineral and vitamin needs of the mare, so the concentrated feed (fed at recommended amounts) will provide essential nutrients to meet the mare’s requirements. In many situations, open mares fed good quality forages will maintain their body condition easily on the calories provided by grass or hay alone. In this case, Purina® Enrich Plus® ration balancing horse feed may be appropriate in small amounts (1-2 pounds per day) in addition to the forage to supply adequate protein, vitamins, and minerals without adding unnecessary calories for the brood mare. During early pregnancy (first eight months), the mare can be fed the same as the open mare. During this time, the unborn foal is growing at a rate of about 0.2 pounds per day, which is slow enough that the mare does not usually require extra feeding. Again, however, forages alone may not contain adequate amino acids, phosphorus, copper, and other minerals and vitamins, so the addition of Purina® Strategy® GX, Strategy® Healthy Edge, or Omolene #100® (or Omolene #200®) horse feed is appropriate. 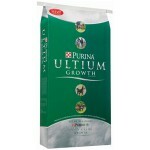 Purina® Ultium® Growth Horse Feed is another option for mares that require higher caloric density to maintain body weight and condition during early gestation. 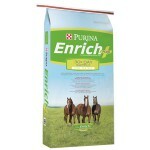 If the mare is an easy keeper and maintains body weight and condition on hay or pasture alone, then Purina® Enrich Plus® would be a good choice to provide essential nutrients for the mare and the developing foal. 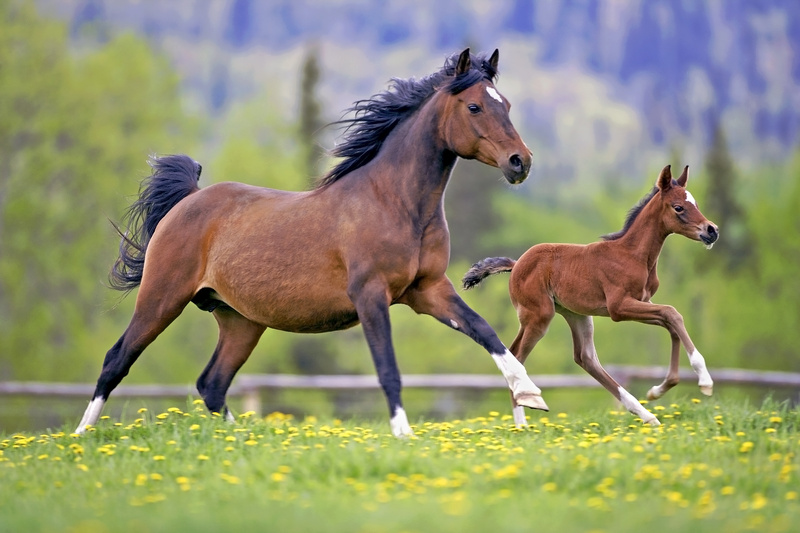 Sixty percent of the unborn foal’s growth occurs during the last three months of pregnancy, so the mare’s protein, energy, vitamin and mineral requirements increase to meet these needs. In fact, the foal’s growth rate increases to about 1 pound per day during this period. 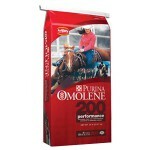 To meet the needs of both mare and the developing foal, Purina® Ultium® Growth, Strategy® GX or Omolene #200® horse feed should be fed along with good quality hay and grass. Nutrient requirements for digestible energy in lactating mares depend on the composition and quantity of milk produced. Mares with greater milk production will need more energy (total calories) in their diets. Mares produce an average of three gallons of milk daily during a five-month lactation period. Digestible energy requirements are highest for lactating mares immediately after foaling. Depending on the mare, energy requirements may increase up to double the maintenance requirements. Protein requirements are also highest during the first three months of lactation. Early in lactation, the foal requires milk that is rich in energy, protein, calcium, and phosphorus, so the mare must be fed appropriately. Keep in mind, however, that a sudden change in feed to meet the mare’s increased need may result in digestive disturbances such as colic. Increases in the mares’ need should be made gradually over seven to 10 days to allow the mare’s digestive system to adjust. 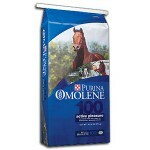 Purina® Ultium® Growth, Strategy® GX or Omolene #300® are all appropriate choices to meet the mare’s needs, especially if the foal is allowed to nibble on the mare’s feed. In the fourth, fifth and sixth months of lactation, the mare’s milk supply decreases, therefore her need for additional nutrients declines, and her feeding level should be reduced proportionately to maintain her body condition score for the next breeding season or to support a new pregnancy. 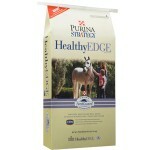 Visit us today at Argyle Feed & Hardware for the right Purina Horse Feeds to meet your brood mare’s nutritional needs. This entry was posted on Monday, April 25th, 2016 at 6:10 pm	and is filed under Horse, News & Updates. You can follow any responses to this entry through the RSS 2.0 feed. You can skip to the end and leave a response. Pinging is currently not allowed.